We're always here to help. On this page you can find answers to some of the questions we get asked most often. If you can't find an answer below please ask a question. Alternatively you can email us on sales@wrpmouldings.co.uk or call 01799 543887. Yes. You can request samples by clicking the blue ‘Order a sample’ button which you can find on each profile page for all products that are sold by the metre. Samples are normally dispatched within one or two working days and are sent by TNT. Are samples available for all your profiles on the website? We have over 800 Moulding profiles available and are in the process of adding more. 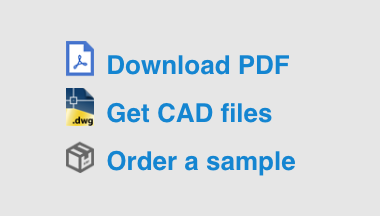 We offer samples of our 300 best sellers and for profiles outside of that, there is an AutoCAD file available of all our Mouldings. What type of timber do you supply the mouldings in? We supply all mouldings in best grade Southern Yellow Pine. We can produce all mouldings in several other timbers ranging from American White Oak to Sapele to Tulip. Can I get less than the minimum order quantity it states on the website? The reason we have a minimum order quantity is because we stock very little and machine all mouldings to order. This ensures fine quality of the mouldings are freshly machined, as pre-machined timber left sitting stocked for long periods of time can become warped, split or distorted. What lengths can I order? We endeavour to provide longer lengths for your skirting, dado rails and picture rails. We do not guarantee exact sizes, but we aim to deliver your sizes as close as possible. Available sizes are 2.4m or 3.6m but orders over 100m we can also offer 2.1m & 3m In Southern Yellow Pine. In hardwoods, we will confirm the available lengths on order. 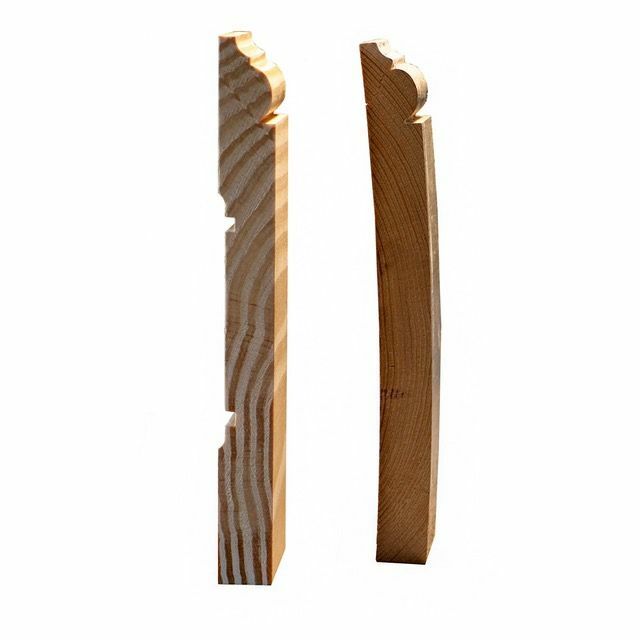 When ordering architraves please specify lengths of either side or the head, this helps us to select the best timber for the job. We will work out sizes for you so you do not end up with lots of off-cuts. Allow for 15% wastage on ordering. I want to order architrave, can you supply to size of lengths? Please provide your cutting list and allow on your order approx 15% wastage on you cutting list. Do you provide your timber pre-primed? We do not provide a priming service, however we send out our mouldings clean and ready for your finish. We generally have a very efficient turnaround time for dispatch of approx. 6-7 working days. How are the mouldings delivered? We offer a fast local service with our vans, or we send on a courier service that is able to take up to 3.6m lengths. All mouldings are packed in a protective wrapping. We can deliver all around the UK. Can you make your online profiles smaller or larger than the specified size on the website? Yes we can, send us your enquiry and we can get back to you with a quote. Do you stock or have any stockists around the country? We stock our top 100 mouldings, and you can see which profiles are in stock on our website. You can always give our team a call to confirm. We do not supply to stockists; all mouldings are machined and sold from our factory in Essex. Do lengths vary between the different timber types? Yes lengths will vary between different types of timber. We will confirm lengths on order. Can you supply any off-cuts of your mouldings? We do not it is a rarity that we have any off cuts left in the workshop. Is your bespoke service a longer lead time than your online profiles? This depends on the profile/s and the quantity metre run. We aim to keep the lead time at efficient 6-7 working days from order. We will confirm lead time on enquiry. How do I measure our existing moulding so I can get it matched through your bespoke service? The best way to be sure is to take off a small piece and send it to us in the post. Even if it is in a few pieces we can get a very close match. If you cannot remove an existing piece of moulding then you will need to make a profile drawing of it with accurate measurements labelled on the drawing. Also we need the quantity metre run you require. Do you make the mouldings or are they imported? All mouldings are machined here at the factory in Essex. We do not import any of the mouldings. If we are plastering a wall, can we put mouldings on when it’s not a dry atmosphere? It is not recommended. When you have wet walls or a damp atmosphere there is a high chance of the timber bowing, cupping or even splitting because it will absorb moisture. Then at a later date when the heating is switched on and the timer dries out, it can cause problems. It is always best to prime or seal both sides of the timber before fixing. Can the mouldings be made from MDF? Yes we can supply mouldings in MDF as required. They will be produced as a special run. MDF mouldings are generally used for buildings with under-floor heating as it's more stable. We use moisture-resistant MDF. Please contact us with any enquiries about MDF moudlings. The rosette size that you recommended is 5mm larger than the architrave width. Is there any reason that you suggest this protruding? The reason we advise about 5mm bigger on width and thickness is because over time it will shrink. If you leave the width the same size, it will cause distortion and one side being smaller than the architrave. We are thinking about having a two part skirting made, where would the joint be? My client is worried the hoover will open up a joint if low down. Looking how your other skirting are made it looks like the joint is at the very top near the profile, is that correct? This is a two-part moulding, which means there is more stability as they are grooved, they are not glued when fitted to allow movement. It will also be towards the top of the moulding, so it won't be low down.An example drawing so you can see what we would do. My order arrived safely, except that one of the 12 lengths is warped. The deflection in the middle is about 20mm. The other lengths are reasonably true although one or two others have some "deviations"
Please note that solid timber is a natural material and every measure is taken to send out the best quality we can. All of our mouldings are checked in the machining process and before they are wrapped, slight distortion is acceptable. When fitted it can be flexed to be straight, this is general practice in the trade. It is not possible to guarantee perfectly straight lengths. If I want to polish so the timber is showing, what timber should I use? The beauty of Timber is its natural look. 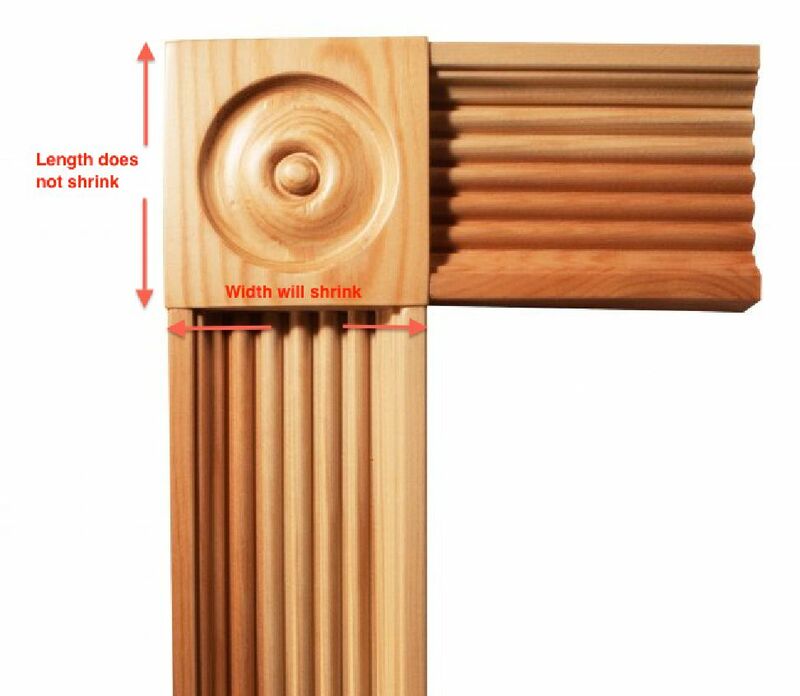 Using simplistic mouldings rather than intricate details is best. For example, walnut is a beautiful timber to use if you are polishing them. The wood is generally straight-grained, but sometimes with wavy or curly grain that produces an attractive and decorative figure. Do you stock your standard Skirting on the website? We stock Skirting less than 150mm high. If they are higher than that we tend to mill them to order, which is done in our machine shop and generally takes a few days. The reason for this is because freshly machined ensures the quality and flatness in the boards, so reducing the risk of cupping or warping. Another way we help them not distort is putting relief grooves in the back. The photo on the left is WRP Southern Yellow pine with relief grooves in back, which will also assist if you are gluing to the wall, and the photo on the right is an old sample from a customer that has cupped. Cupping can also be caused by a damp environment such as recently plastered walls, as water is in the air and will be picked up by the timber. Please ensure when you receive the timber it is kept in a dry place. Can your Mouldings be used externally (if covered by a lead flashing) ? Yes, when using Southern Yellow Pine, they can be used externally. It is always advised that you treat the timber with a preservative application, prime it, then paint them. Alternatively, we can price to machine our mouldings in a hardwood such as Sapele and American White Oak. Also in Accoya. Accoya has become more popular for an external timber as it has been treated in a way that gives you more durability. The treatment also means that it is indigestible to a number of insects and doesn't need to have a preservative application when cut or planed. With any timber that is being placed externally, if it is possible, keep them out of direct elements as this will help to prolong the life of them. Please send us an email at sales@wrpmouldings.co.uk or call to talk to us on 01799 543 887. The minimum thickness we can machine is 5mm. 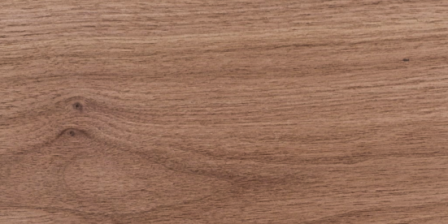 Our recommendation is to search for construction veneer as this generally comes to 3 mm thick. Do you sell your mouldings over the counter at Newport? Our Showroom and Trade Counter is our website you can view all our profiles online and order samples through the website. After you have placed your order we will get it to you safe and sound, we currently offer a fast and reliable delivery only service. I have sent a sample of an existing moulding to be matched and would like the sample returned to me is this something you can do? If you would like your sample sent back to you, prepaid postage must be supplied with your sample in order for us to return it to you. Are the moulding section sizes given the finished sizes. Yes the drawings on the web site are all finished sizes. You recommend having an Architrave thicker than the skirting, is there a standard amount thicker you would suggest? Yes, we recommend this as it is a very good detail and can make fitting easier. We would say allow 4mm between the thickness of the skirting and the architrave. Can you provide samples for profiles outside of your top 300 best sellers? We are a small and busy team it would not be practical for us to set up the machines to run a sample of a moulding outside of our large range of best sellers, the number of profiles on our website are growing each time we produce a bespoke. It is hours of work just to produce samples. Here is the procedures below to run a moulding: 1. Locate the tooling from our library and check the blades are sharp. 2. Set the tooling in the cutting block and measure for setting. 3. Breakdown and re-set on one of our 6 head moulding machines. 4. Run from 1 - 3 test pieces and tweak the manual settings until the profile is correct. 5. Pull out the metres required from our timber store the correct thickness timber generally by fork lift. 6. Pass the timber through the moulder and use a final back up length of timber to ensure the last length of your order will not be spoiled. We understand that you may need a better idea of the size and shape of the profile. If the moulding you are looking for is not available as a sample, you can either download a PDF of the drawing (please print on A4 and actual size) or if you have access to AutoCAD, you can download our full library of profiles. If you cannot find an answer above please ask a question in the box below.